Italy travel is beautiful and delicious. 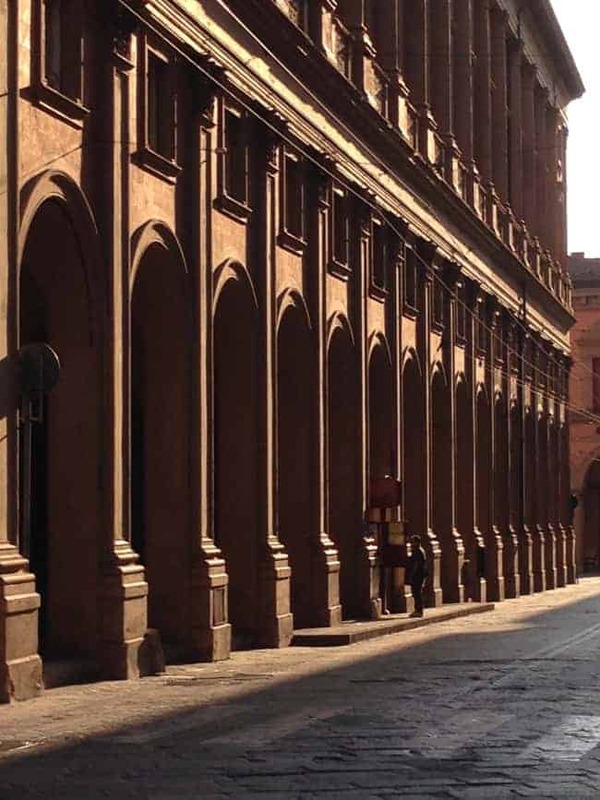 Tips for touring and what to do in Italy. 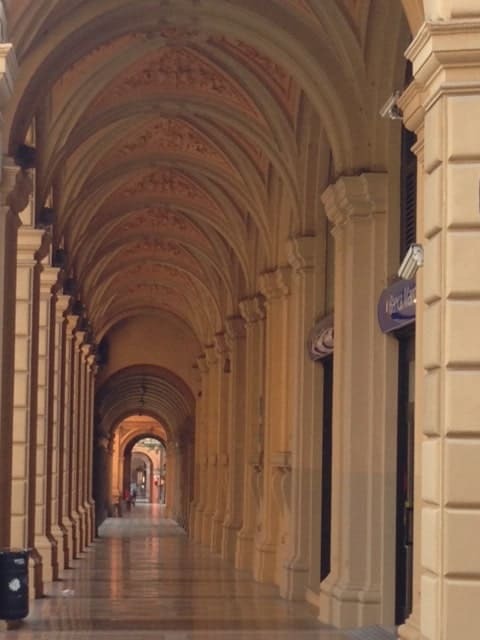 After a few days in Italy, I’m still feeding my soul and feeling the culture, or at least the effects of gelato, wine, cheese, pasta, prosecco, and all the other delicioso experiences. But it’s not all about food. Really. Red. The U.S. is the biggest buyers of Ferrari cars. They prefer red. How do I know? Toured the Ferrari Museum. But this area is also home to Lamborghini, Maserati, Pagani, De Tomaso and Ducati. Green. Or is it black. Lots of Italian women are sporting tattoos. Ankles, wrists and backs exposed their body art. Graffiti. It was everywhere. So disappointing to see so much tagging. Purple. 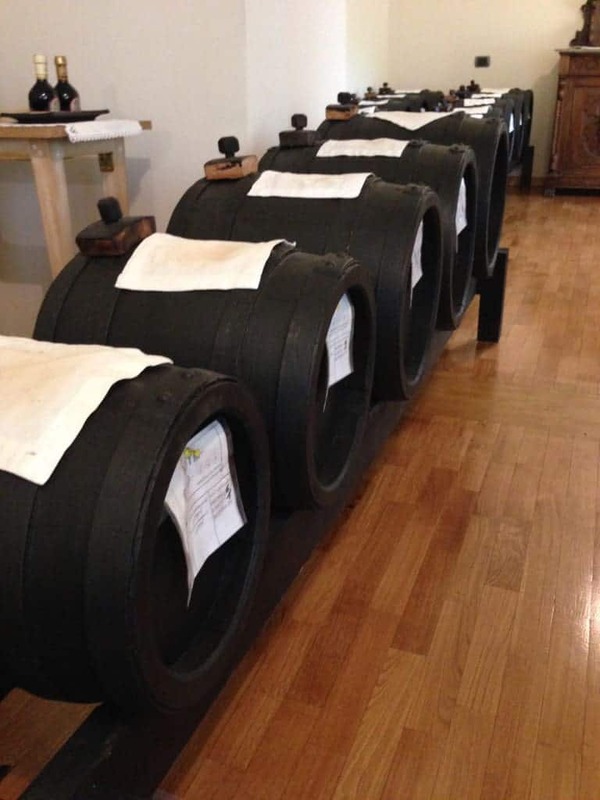 Traditional Balsamic Vinegar of Modena is made only in the region with Trebbiano and Lambrusco grapes. Vinegar must pass inspection from a consortium to earn the label. Otherwise, buyer beware, because any vinegar can be labeled balsamic and/or Modena but it won’t be the real deal. Gotta look for the word traditional on the label. More to follow on this unique condiment that can be drizzled over fish, beef, chicken, strawberries, carrots, and ice cream. Yellow. The sun worked hard. 2015 was a hot summer, so the wine grapes are happy. Expect a good vintage. Blue. The uniform of the Italian business man was a light blue shirt and dark blue blazer. It seemed like they were all got the memo. Beware of fast closing train doors. Ken boarded the train to make sure it was the “right” one. As the doors closed, he learned it wasn’t. I watched the train head down the tracks, took the luggage back to the station and decided to wait. He did return and we made our way to Parma. But we decided best to have a plan in place should that happen again. Here is Travel tip #1. Serendipity is good. By not scheduling every day we were able to join a local tour on Modena. 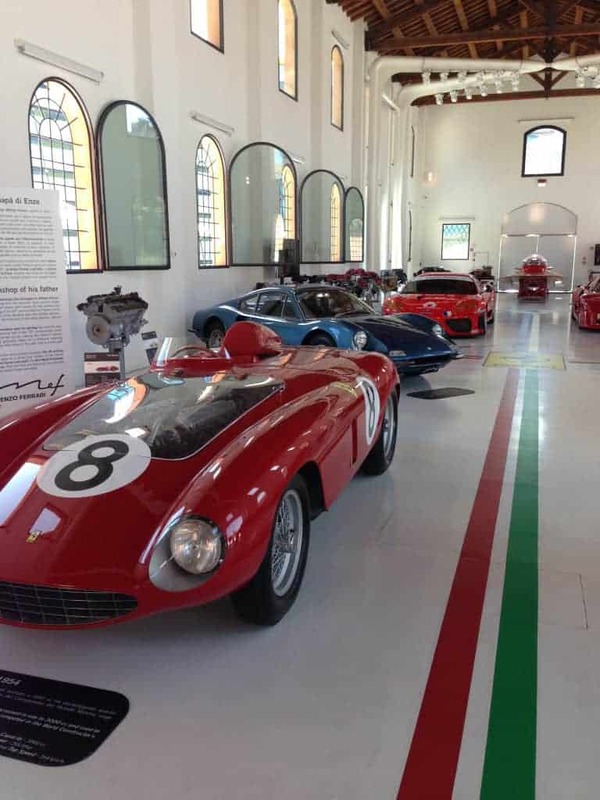 A balsamic vinegar producer, Parmigiano Reggiano producer, Luciano Pavarotti’s home, and the Ferrari Museum and test track were all interesting and unplanned when we left home. Made for a great day and rich memories. 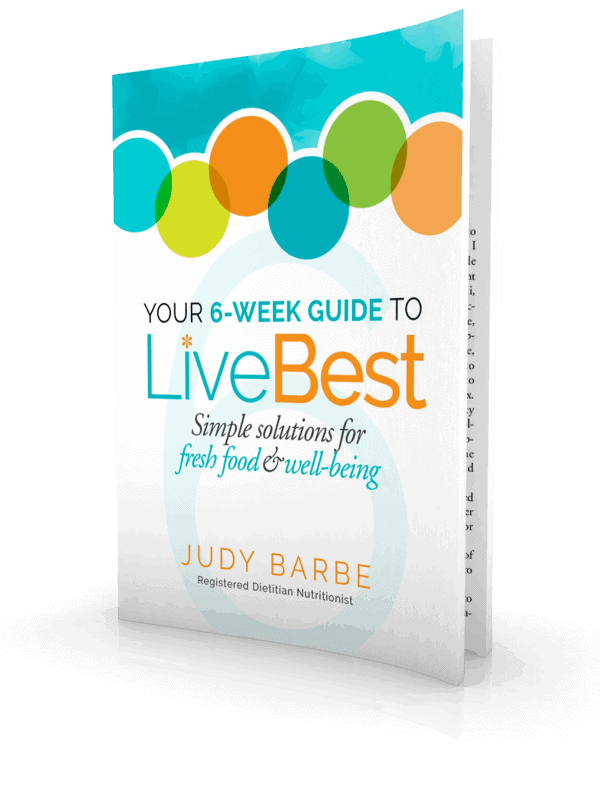 When I travel, I love to browse through grocery stores to see what choices are available and try new foods. 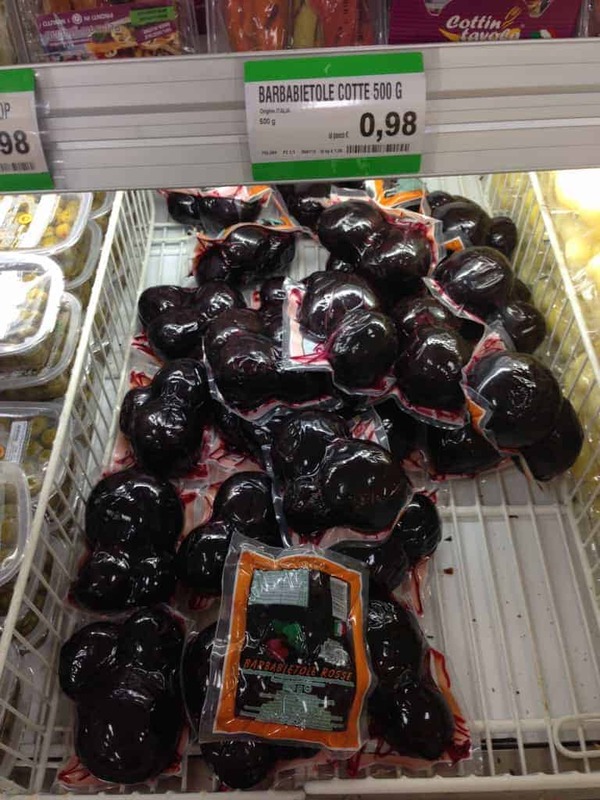 I discovered packaged cooked beets in the refrigerated section, unfamiliar pasta shapes, and a cheese section that made me jealous! 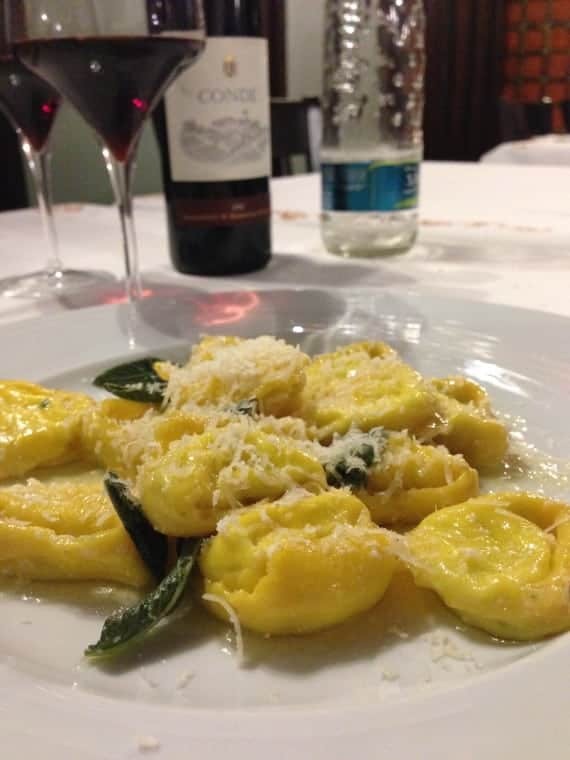 Pasta, made with egg and soft wheat, is queen in the Emilia Romagna region. 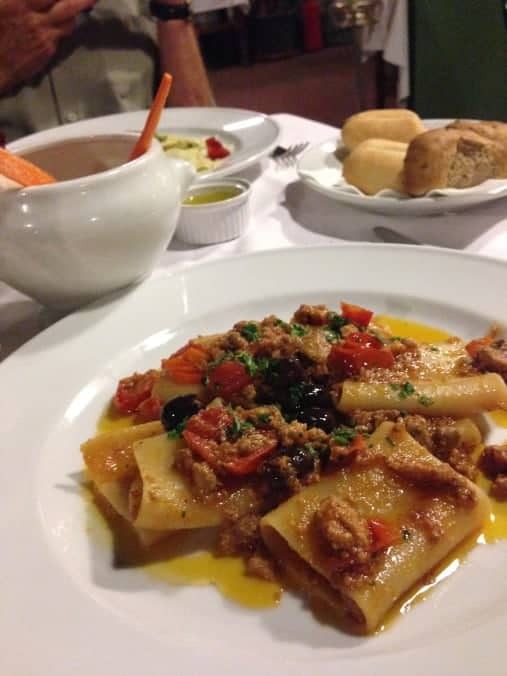 Tortellini, lasagne, gramigna, and tagliatelle are favorites topped it with asparagus, mushrooms, tomatoes, olives, beef and fish (like the tuna, tomato and olive below). The pasta is filled with cheese, pumpkin, potato, and meat. 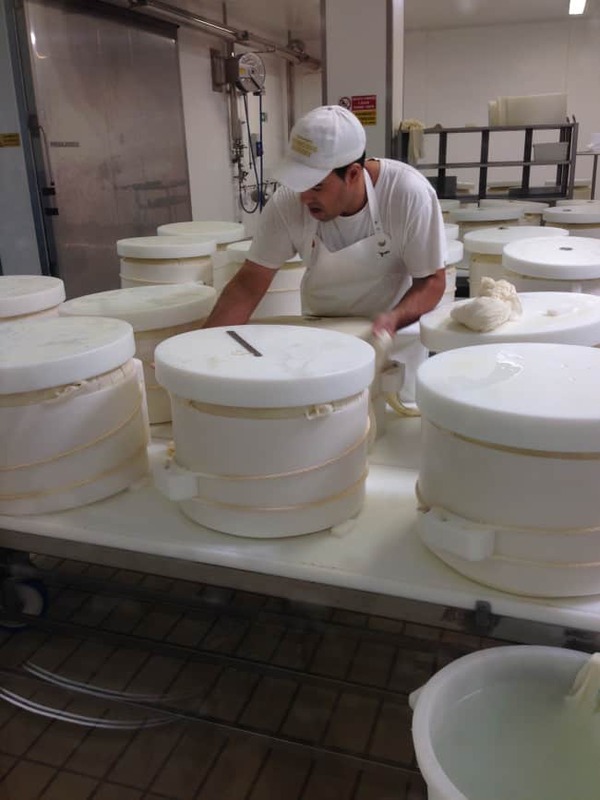 See the tortellini filled with ricotta and dressed with sage, butter and Parmigiano Reggiano – that is considered a primo piatti or first plate. This course follows the starter or antipasto. A secondo piatto would follow as the main course. I didn’t even try to keep up with the courses. He sang tenor and had an enormous appetite for life, Luciano Pavarotti. His home reflects his passions. Especially for food. 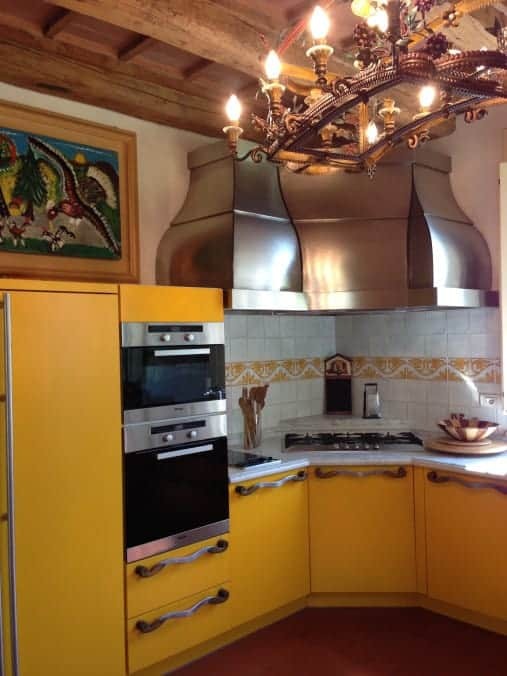 The kitchen is decorated in the color of the town in which he lived, Modena. It was fun to hear his music float through the house while exploring the house. It would be fun to cook in this kitchen. It was filled with light, had good counter space and room to move.